Anita is an Occupational Psychologist specialising in organisational and people development, with a track record of success gained at board level in rapidly expanding, client-focused environments. Her management career started in 2002 as Training and Development Manager at Carter & Carter Group Plc. where she successfully orchestrated commercial and leadership training programmes for Audi UK, achieving the accolade of No.1 support service for five consecutive years. Her progression to Operations Director saw her successfully leading a number of automotive apprenticeship programmes. She became known within the organisation for her results-oriented focus and someone ‘who gets things done.’ Her passion for ensuring all learners touched by her training teams would improve and indeed excel, knew no bounds. This reputation for excellence results in a 10% increase in existing learners and a new programme for 150+ new learners from a major UK client. In 2006 Anita was appointed as HR director for Peter Vardy Ltd in Scotland. She was appointed to the board within three months of joining and played a pivotal role in the growth and development of the group. In addition, her learning and development strategies saw the company ranked No22 in the Sunday Times Top 100 UK Companies to work for. In 2010, Anita became business development director of Raytheon Professional Services. She developed and launched a concept for the first apprenticeship and coaching programmes in the UK to be delivered through a virtual classroom platform and secured ILM accreditation to ensure credibility. In 2011 Anita joined Doreen Yarnold to set up Leading Results Ltd and her dream of owning her own organisational development company became a reality. Anita is no stranger to success, her career hitherto is littered with accolade after accolade and this pattern continues to this day. 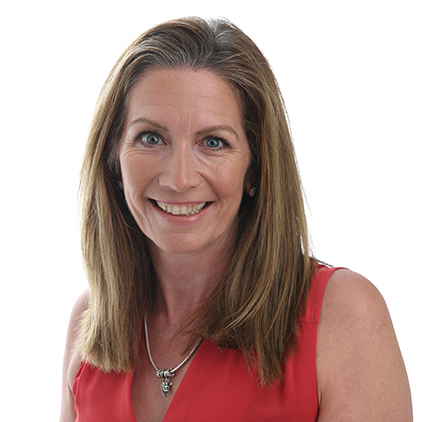 Anita is a highly sought after business growth expert and specialist. She is a qualified occupational psychologist, having studied while holding down highly responsible and busy director roles. Her successes are many and varied and include working with a large high street coffee chain to design and deliver a thorny solution to the problem of how to train and develop several thousand apprentice baristas without bringing them into a classroom within a specific time scale. The client was delighted and reported an improvement in a number of business measures as a result of the programme. Her diverse experience includes facilitating a board of directors on the implications of Brexit on their people strategy, coaching senior managers at a mainstream television channel, and designing and delivering a leading-edge development programme for management engineers at an R&D centre of an automotive manufacturer. She has also spoken at national and international training events and delivered training programmes in Europe to an audience of pan-European delegates, none of whom were English speaking, via a team of translators. Her credibility goes before her. Tell Anita she can’t – and she’ll prove that she can – and deliver whatever it is to the highest standard. A client recently described her as “truly awesome” and there’s not anyone who knows her who would dispute this. Anita is an affiliate member of the Chartered Institute of Personnel & Development (CIPD), is a MBPsS Graduate of the British Psychological Society, a Member of the British Society for Hypnotherapy and belongs to the Professional Speakers Academy, London.